BSEH (Board of School Education Haryana) JBT/ D.EL.Ed. Re-Appear 1st, 2nd, 3rd and 4th Semester/year application form 2017. 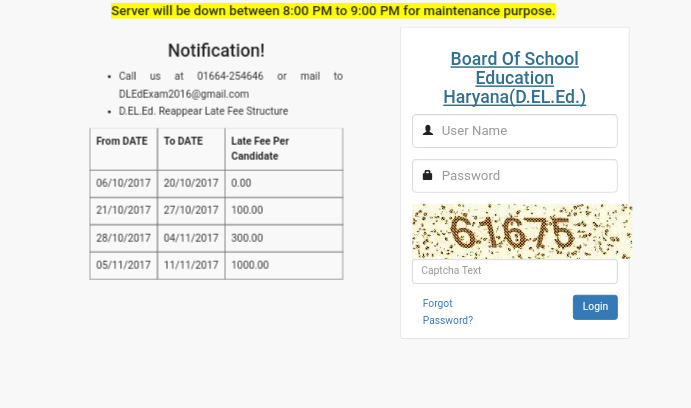 All candidates can fill Online on official website of Haryana Board from 06-10-2017 to 20-10-2017 without late fee.